The theme for our December meeting will focus on new assistive devices for people with hearing loss. After presentation and demonstrate of new devices you can try them yourselves. Talk to representatives from Serene Innovations and Ditto Wearables about your needs and what might be useful to you and your lifestyle. This is an information meeting only. No sales will be permitted at the meeting. Meetings are open to Laguna Woods residents and their guests. Non-Residents must RSVP 5 days before the meeting date. (December 7, 2016) for gate access to Laguna Woods Village. How to prepare for club meetings. Members check in and pick up your name tag at the name tag table. Bring your spouse, your family, your neighbor and/ or your friends. No charge to attend meetings. 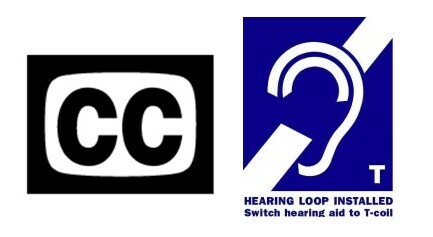 Meetings are Captioned and Looped for those with telecoil equipped hearing aids and cochlear implants. This entry was posted in Hearing Aids, hearing loop, Hearing Loss, Hearing Well, Meeting Notice, Meeting Schedule, T-coils, Telecoils. Bookmark the permalink.